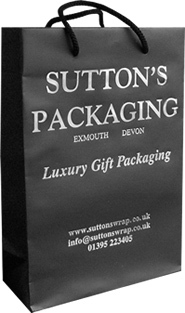 Sutton's Packaging Ltd. offer a range of luxury matt laminated bags designed especially for the transport of bottles. All bags are equipped with colour coordinated rope handles and a base cardboard insert for increased stability. 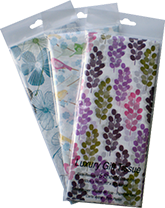 Available to purchase in a choice of 4 popular colours with outer dimensions of 10 x 10 x 40 cm. Please email for stock availablity.